A Brief Description Of Nigeria's Most Talked About N.G.O Called People's Alliance Front (PAF). among other core values and believes for the transformation and leadership which adds substantial value to the development, management and delivery of government services. To advocate for accountability and good governance. To establish an effective platform in achieving greater leadership advocacy. To promote and support understanding of complicity, culture, and diversity of its members and respect their beliefs. To engage and educate the Nigerian citizens towards participating in their civic and social responsibilities. To mobilize and support for funds for indigents as well as victims of natural disaster. The organization is registered and headquartered in Abuja, Nigeria. It’s pioneer and National President is Mr. Martin Apugo, a philanthropist who is the owner of Diamond football Academy that has helped many grassroots’ talent discover their potentials and as well made their dreams of a brighter future a reality in European and Asian soccer clubs. PAFnigeria also has Emeka Richards Onwuka as its Pro Tem National Secretary; he is an economist who has served as the Total Facilities manager at Central Bank of Nigeria, Owerri branch office. He presently sits at the board of notable Non-governmental organizations and also is involved in a lot of community development and youth empowerment initiatives. 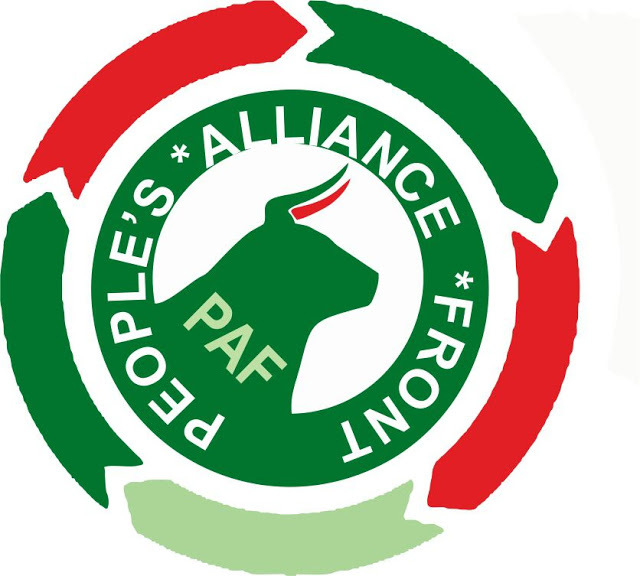 The Motto and slogan of PAF is “….The peoples’ voice! Making Nigeria great again! !” And its membership is open to the general public and citizen’s not less than eighteen (18) years and approved by the trustees. The organization has recorded huge membership and participation in all the six (6) geo-political zones in Nigeria especially in the South-East and North-East part of the country.